Wishing you a Blessed Feast of the Epiphany and Joyous New Year from all of us at Joseph’s House! At Joseph’s House the road leading moms and their children to us is a journey begun from a deep desire prompting them to leave the problems of their past and begin a life-changing journey for their future. It’s as though they have always been waiting for a new opportunity leading them to a life filled with the Presence of God. It is as though they are awaiting their own personal epiphany and are led to it through the light of our mission. Our hope has always been at some point the epiphany they encountered would include gratefulness for Joseph’s House. What we never anticipated however, was how beautifully they would express their thanks and how their words would affect our faith in what we do and our perseverance in doing it. We also never anticipated there would be staff members as well as benefactors who would let us know how deeply they appreciate our work. Today as we begin a New Year and continue to discern the direction given to us for Joseph’s House, I wanted to share with you some of the words making the endless hours, sleepless nights and hard work worthwhile. I’d also like to express my sincere thanks again to our incredible staff who are many times the recipients of these gifts of thanks. We also receive notes of appreciation from our staff letting us know they consider their work at Joseph’s House to be a blessing. And when writing thank you notes to benefactors, we often receive notes of thanks back to us. So, there you have it my friends! Just a few of the many reasons we are so blessed to do this work. God sends us graces and appreciation from so many unexpected sources and they always seem to arrive just when they are needed. The numerous miracles we are privileged to witness as these young women transform their lives every day, take us to our knees just like the Magi. We kneel down in awe and thanksgiving to Our Blessed Mother for Her Fiat, to St. Joseph for his courage and to Almighty God for sending us His Son, the Christ Child. The Child reminding us all, each and every child is a gift from God with a mission to complete for His Kingdom. Our prayer is we are always here to help all of those children sent our way witness the epiphany they are meant to encounter so they might find their mission and Our Lord’s Holy Will for their lives. We invite you to come join us on this journey of new beginnings and share in the Joy of Joseph’s House. God Bless you my friends! Prayer is an aspiration of the heart, it is a simple glance directed to heaven, it is a cry of gratitude and love in the midst of trail as well as joy; finally, it is something great, supernatural, which expands my soul and unites me to Jesus. A Blessed Feast Day of Mary Mother of God and Happy New Year! Welcome to 2019 and the New Year and the special day in our church when we honor Mary as Mother of God. This Octave of Christmas has been jammed packed with beautiful scenes from the early days of the Christ Child and the daily readings and liturgy are an abundance of beauty and poetry. This Octave of Christmas is quiet at Joseph’s House. Some moms are away visiting family while others are out of school or have extra days off work. As a result, our daycare and life-skills programs are limited making for a quieter home being enjoyed by all after the frenzy of Christmas. This quiet time in all areas of our mission, give us an opportunity to count the many blessings of the past year, collect ourselves after the hectic Christmas season, and knowing January is right around the corner, make final preparations for our growth in the New Year. These thoughts of seasons, preparations, celebrations and thanks bring to mind Advent and the other seasons of our Liturgical Calendar. Our church in its wisdom, gives us within this calendar a road map for every facet of our lives from our daily work and family plan, to our end of life journey. Advent is about new beginnings, Christ’s birth and the arrival of our Redeemer. Lent is about preparation for the end of our lives and the sacrifice of Jesus on the Cross dying for our sins. The rest of the liturgical year called Ordinary Time, is a time of prayer, conversion and a time of living the life of Christ through the scriptures. Prayer is the common thread through all of these liturgical seasons and should be the common thread woven through our lives as it was through the lives of the Holy Family. Advent is a time when we are to prepare our hearts, minds and souls through prayer for the Christ Child. It is much the same when a mother conceives and carries her child. While the infant grows in her womb, the mom and her family pray and make preparations for the arrival of the new child. The celebration of Christmas and the birth of Christ was for Mary and Joseph akin to the birth of any of our own children. As they celebrated the birth of Jesus, they continued to pray and plan the best they were able for the unexpected journey His arrival would bring to their lives. I’m not sure they anticipated the trials they would face at the time of His birth, but I’m sure they anticipated the joy the newborn infant would bring to their lives. It is much the same each time we have a new child arrive in our own lives or at Joseph’s House. The landscape of life changes. A new dimension is added, bound in excitement and joy, apprehension and worry as we anticipate and celebrate the blessed addition, and pray we are able to navigate the unexpected journey we are called to embark upon, always giving thanks along the way. Lent is the same type of preparation that we will all face as we get closer to the end of our time in our earthly home. Many of us have witnessed the passing of a loved one and taken part in the journey as they came closer to death. Hopefully you have witnessed the preparation, the growth in reliance on God and have come to understand there is a celebration in Heaven as your loved one enters eternity. Hopefully you have been blessed with a kind of joy and thanks when through answered prayer a loved one’s suffering has ended and they are resting in peace in the arms of the angels and saints. It was much the same for our forsaken Blessed Mother as She witnessed the agony, death and abandonment of Her Son Jesus Christ. One can only imagine Her tearful prayers at His death followed by the joyous celebration and thanksgiving when He was resurrected. The thread woven through all the seasons of our church, through all the preparation, celebration and thanksgiving is prayer. In our lives and in the lives of the Holy Family prayer is and was the nourishment sustaining us and them through the sometimes treacherous adventure of life. Jesus, Mary and Joseph were prolific in prayer and we can be prolific in prayer too. Deepening our prayer life might begin with Reconciliation with a priest if in mortal sin, or if not in mortal sin, simply with an Act of Contrition. To make prayer more intense and prepare for a more personal relationship with Jesus and His Mother one might begin saying the Rosary daily, starting with one decade and slowly adding on until saying an entire 5 decades. One might begin to pray before the Blessed Sacrament in Adoration for 10 minutes at a time, working up to 30 minutes or perhaps an hour. One might meditate on the Stations of the Cross, go to daily mass, read and meditate on bible passages or take in the magnificence of the stained-glass windows in our Catholic churches infusing the soul with the truth of scripture through the gift of artistry given by God to masters. In short, there are more than 100 ways to become prolific in prayer. and there is no better time to begin than at the beginning of a New Year. Adding more prayer when done consistently, adds a new dimension to the landscape of our relationship with Our Lord. This time spent meditating upon and speaking with Jesus through prayer makes us more aware of not only the sufferings of Our Blessed Mother, Jesus and St. Joseph, but also of how perfect they were in response to God’s Will for their lives. When we come to understand their sacrifice and the depths of their surrender to God’s Will, we have a barometer for every minute detail of our own lives and a road to perfection leading us to Heaven. Our prayers are the preparation needed to carry us through all the seasons of our church, our lives and this brand-new New Year. Prayer is the instrument leading to the daily celebration of friendship with Christ and giving us a depth of gratitude and humility that will make us pillars of comfort to Jesus. As a New Year begins let us make a promise to Our Lord and Savior, we will make more time for prayer, knowing the time spent in preparation on earth will someday lead us to the unending celebration of joy in Heaven where we will live in thanks, praise, and in the Glory of God forever. Wishing you all a Very Blessed New Year! Mary Mother of God pray for us! Today is the Feast of the Holy Innocents. Thousands were killed, and history tells us the wails of the mothers of these children could be heard for days. Herod killed these innocents in the hope of killing the Christ Child so he might retain his kingship. Herod was proud, arrogant and selfish, however ultimately he killed all of these little boys 2 years of age and under because he was filled with fear. He was fearful of losing his power, losing his riches, losing his place in society, losing his place in the hierarchy of the Roman Empire. He was fearful his legacy would be destroyed and his son would not succeed him. Herod was afraid of an innocent child, an innocent new born baby. Unfortunately, it is not any different today. Millions of young men and young women are afraid of their unborn children. They are afraid of the changes the child will bring to their lives. They are afraid of being alienated by friends and family, afraid of being inconvenienced, afraid of the cost, and afraid of the responsibility of caring for another human being. All of this fear has resulted in the loss of the 58 million Holy Innocents of our lifetime, the Holy Innocents murdered in the safest place they should ever know, in the wombs of their fearful mothers. Poverty of truth is precisely where our culture resides. It is our call as pro-life Catholics to be the heralds of truth, to call a spade a spade, to let everyone know unequivocally Abortion is Murder. Abortion is a mortal sin against the Fifth Commandment, “Thou Shall Not Kill” and yet how many believe because abortion is the law of the land and is legal it is somehow not murder? Instead we call the dismembering of an unborn child in the womb of his mother “women’s reproductive rights.” What we should be fearful of rather than an unborn child is the wrath of God for the 58 million Holy Innocents lost to abortion in this country. Unborn children gifted to their parents as blessings from God. Unborn children, tiny souls, given special missions by God that could change our world, or at least our corner of it if only they are given the opportunity to be born. Please know if you have had an abortion or worked in the abortion industry I am not condemning you. I know first hand the fear of unplanned pregnancy and first hand the destructive spiral caused by abortion. I have come to realize God forgives all our sins no matter how heinous but it is sometimes more difficult to forgive ourselves. The guilt carried after abortion has many repercussions including depression, anxiety, addiction problems, and eating disorders. If you or someone you know is suffering these problems please consider reconciling yourself with God, and to seek healing through programs such as Project Rachel and Then There Were None. I promise you your issues will dissipate, albeit slowly, as you heal from guilt and reacquaint yourself with Jesus Christ. We have no reason to fear as long as Jesus Christ is in our life. Whether we are facing unplanned pregnancy, illness or bankruptcy, He is the answer to the fear, the anxiety, and the distress in our lives. We must discern in prayer and be sure we do not supersede His desires with our own simply because His desires make us fearful. Do not be afraid, Our Lord has your back. He has your plan. He has everything you need whenever you need it, you only need to call on Him in trust and surrender your will to His holy will for your life. It is written that Herod died deranged, of chronic kidney disease and gangrene of the groin. Could it be this very rare, very painful, very confusing death was a symptom of the sin in his life? Could it be the pain he suffered was a result of killing 14,000 innocent children out of fear and fury? Could the baffling drug problem all over this country today be a symptom of our sins? Could the uncertainty in everything from the news, to politics to the stock market be the result of a gangrene of greed? Could the rage, disrespect, self-centered society we are a part of today be the result of the taking of more than 58 million innocent lives in this country through abortion? I fear the answers to all of these questions are yes my friends as the further we move away from truth, away from God, the deeper the confusion becomes and the deeper we fall into the black hole of disregard for others. God is the opposite of all of this. God is simply peace, love and stillness. He is the rest stop where our worries are hushed, where our confusion is stifled and our lives are filled with tranquility. When we are anxious and fearful due to sin, the Sacred Heart of Our Lord is wounded simply because He loves us and longs for us to trust and rest in Him. If only Herod had known these simple truths, how different things might have been. Erin Byrnes, with some of our little ones, is a never-ending gift to Joseph’s House! It’s been an incredibly busy and celebratory few weeks at Joseph’s House. The generosity of all has overwhelmed us as well as the moms and kids in our home and in our Exodus program with an abundance of blessings. There are no words to thank you for the many ways in which you have served us. From prayer to daycare and tutoring, cookie making to specially prepared elegant dinners, Christmas gatherings in the homes of donors, and every type of donation from diapers to hams, many needs have been met. We are witnesses daily to miracles as all these gifts, all this generosity comes as answers to prayer so we may assist these most vulnerable Children of God in all the ways Our Lord calls us to. To sum it up, we are forever grateful and you all are simply Magnificent! In today’s Gospel Story we hear the story of the Visitation of Our Blessed Mother to Her cousin Elizabeth. Mary went to serve Her cousin at the most life-changing moment in Her young life as She had just conceived through the Holy Spirit the Child Jesus in Her womb. It was inconvenient for Her to go on this long journey into hill country but She went to serve someone She knew to be in need. At Joseph’s House we are called to serve those in need at the most life-changing moments in their lives and the lives of their children. Many times their most life-changing times are inconvenient times for all of us. Sometimes phone calls from moms without a home come to us at the very end of a long day just as staff are preparing to leave for their own homes. Other times a personal crisis or a mom in labor in the middle of the night, on a holiday or weekend have been the stimulus for staff to lose sleep, work extra hours and miss time with their own families. Many times through their sacrifice, our staff with their compassionate souls become the only real family these young, homeless moms have ever known. They become soft shoulders of solace to moms, who in the midst of crisis, are beginning a new family, a family they hope to keep intact and never abandon as they know abandonment all to well. Every minute of every day at Joseph’s House must be supervised by staff, including Thanksgiving, Christmas, New Year’s, and Easter. We are forever grateful to our most gifted, patient, resilient, self-sacrificing staff who give up their family time, their personal time and their comfort and sleep for our moms and little ones. They are most certainly serving others just as Our Blessed Mother Mary served Her cousin Elizabeth. Once again, to sum it up, all our staff at Joseph’s House are simply Magnificent! The Gospel story yesterday was Mary’s Song, better known as The Magnificat. On EWTN’s televised mass yesterday, Father Joseph Mary asked in his homily for all to consider writing their own Magnificat verse of praise and thanks to Our Lord. He challenged all to ponder their favorite bible verses and to then compose their own prayer. 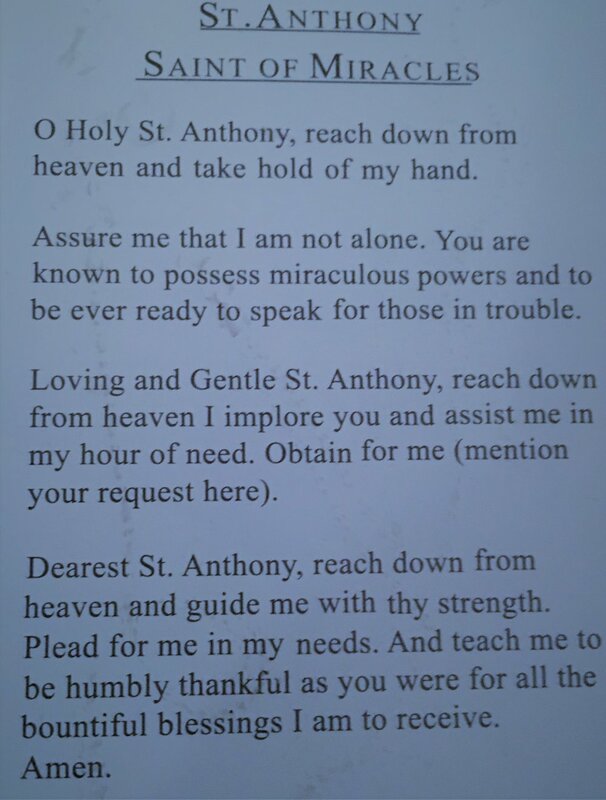 Below is my humble attempt written to Our Lord in thanks and praise. When I think of all the wonderful people I would have never known if not for the heavenly work of Joseph’s House, I understand more clearly how God has sent all of you as answered prayers and as instruments to help sustain His mission of life and love. My prayer today is you will consider this not so magnificent Magnificat a thank you and a promise to all of you I have had the great pleasure of meeting and working with through service to Joseph’s House. To sum it up one more time, you are all most assuredly, simply Magnificent! “What should we do?” It’s a question asked daily at Joseph’s House as we do our best to assist the homeless, pregnant moms and their children sent our way. Sometimes the answer is more complicated than giving them an extra coat or food. Sometimes it means going out on a limb for them, stretching our boundaries and our resources to deal with complex problems we are unfamiliar with or we have never dealt with before. The one thing we are always able to do is give our moms the opportunity to preserve the life of their unborn child. That is our calling and is the very least we can do as Catholics and as people who believe life is a gift given by God. What John is saying in Luke’s gospel story today is simply common sense and what we do at Joseph’s House is the same. It is simply common sense to give shelter to God’s most vulnerable children. It is simply common sense to fill them with food, drink and the spirit of Our Lord. It is simply common sense to provide structure in their lives, to help them with their education, to offer daycare for their children, so they have the opportunity to be good parents, good citizens and the Children of God He wants them to be. By the grace of God, we have done this successfully over the past 4-and three-quarter years. We have had more than 75 moms call us home and have given 49 newborn children the opportunity to come home to their very first home at Joseph’s House. 49 little souls who may have been lost to abortion if not for our home. 49 newborn lives, unplanned by their parents, but planned by God from eternity. 49 babies who would have been taken from the arms of their moms as they left the hospital if those moms were homeless and had nowhere to go. As we prepare for the arrival of Our Blessed Mother’s unexpected child, our Savior Jesus Christ, let us remember all the other young women awaiting the arrival of an unexpected child. Let us remember that Mary’s unexpected child changed the world and there are more unexpected children who have the ability to do the same in other ways. They may be great doctors, lawyers or statesman. They may be future moms and dads whose child will be a priest or a pope. We have no idea the plans Our Lord has for our lives or theirs so it is incumbent upon us to be sure we nurture all new life and give all moms the opportunity to give birth to their children. So, what can you do to help us continue our life-saving work this Christmas? You can assure God you understand what the Gift of Life truly is. How? By making a monetary donation to Joseph’s House. There is no amount too small as every cent goes directly to providing all the resources needed to run our program. Unlike other local charities we take no dollars from the government, the diocese or the Hope Appeal. We rely totally on private funding. As you look at your home decorated for Christmas and the gifts piling up to be wrapped and placed by the tree, remember the common sense advise given by John when people asked “What should we do?” Think about what you can do, pray about what God is calling you to do, and please remember the newborn babies, remember the moms, remember the good works of Joseph’s House, and remember Our Lord needs our help to implement His plans for all. God Bless you my friends! What makes every day so very exciting at Joseph’s House is we are witnesses to God’s Gift of Life. This week with Christmas preparations, birthday celebrations and a visit from Saint Nicholas the special gifts of little lives were made apparent to all. We observed first-hand the wonder in their eyes as they wandered through our home and took in the majesty of all the Christmas trees and Nativity scenes surrounding them. All the moms and kids have had great fun creating their own ornaments and even added artistic touches to decorate the doors of their rooms making our dorm hallways very festive. The little ones also created paper Christmas stockings of gratefulness they are filling with thoughts and memories for which they are thankful this Christmas season. This week as we continue our Advent journey getting closer to the Birth of Jesus, we are preparing for some Christmas cookie baking, decorating and a visit from Santa always being sure to remind everyone Christmas begins with Christ. There will be Christmas celebrations, masses, prayer groups and gatherings for our Exodus moms and all our residents. The true beauty of all of these events is they bring the entire Joseph’s House family together providing all with an extra special Christmas blessing. Yesterday was the Feast of the Immaculate Conception of Our Blessed Mother. Once again this year, I was given the opportunity to explain to someone the Immaculate Conception we are celebrating is for Mary, not for Jesus, as many believe. It doesn’t take much of an explanation for anyone to understand if God was able to choose and create the Mother of His Son, He would create Her to be perfect. She would be free from original sin and all sin, because She would be the Tabernacle in which Jesus would reside for nine months. After all, if God wanted His Son to be perfectly pure as God Himself is perfectly pure, He most certainly would create a perfectly pure vessel for Jesus to be nurtured and nestled within. Mary was and is the Perfectly Pure Vessel, the Golden Tabernacle, the new Ark of the Covenant. She is the Gateway through which God sent Jesus to earth ushering in redemption for our souls and opening the gates of Heaven. Our Lady gave Her Fiat to God’s desire for Her life when She said to the Angel Gabriel “I am the handmaid of the Lord, be it done unto me according to His Will.” Her answer let’s all of us know Mary understood God’s gift of life, for Her life, for the life of Jesus and for our lives as well. At mass yesterday celebrating this glorious feast day, Father Dunn reminded us of how extraordinary is the gift of life. He reminded us we are all remarkably created, and we are all unique, exceptional and cherished by God. God chose us to be born into this world, His world, before time began. He doesn’t care if we are educated or uneducated, rich, poor, homeless or living in a palace, He loves us because we are His Creation and He has a special plan for each and every one of us. ...as he chose us in him, before the foundation of the world, to be holy and without blemish before him. In love he destined us for adoption to himself through Jesus Christ, in accord with the favor of his will, for the praise of the glory of his grace that he granted us in the beloved. God’s plan for our lives is ever-changing, ever-evolving depending upon our ability to say “Yes” to the inspirations of the Holy Spirit. God asks us daily to be His humble servants, to say “Yes” to Him, just as Mary did, and to allow our lives to be lived according to His will. Our mission at Joseph’s House is to always say yes to God and to search with Him for the plan for our lives and our ministry. Our mission is to allow ourselves to be gateways through which God’s precious children are ushered toward Heaven so they may find the magnificent, one of a kind journey God has destined for their lives. We invite you to be gateways with us, to assist us in leading all towards redemption and ushering in the hope that comes with saying “yes” as Mary did, to God’s Gift of Life! There is much excitement to share as Advent begins and we are filled with the anticipation of Christmas. All of us at Joseph’s House from house staff to office and development staff are going full throttle as we prepare for everything from Baby Bottle Drives to end of the year newsletters, to decorating, baking, preparing lists of wants and necessities for our moms and babies, making final preparations for gatherings in our home and watching with joy as the little ones take in the view of the nearly 12-foot tree gracing our dining room. In the photo above you can see some of our volunteers and staff as well as some of our moms and kids are thrilled to be decorating in preparation for Christmas. All of this while being sure to give thanks and praise to Almighty God for all those who touch our mission so that we might continues to change lives. I fall prey to this conundrum every year. My remedy this year is to sacrifice a bit each day in thanks for Joseph and Mary by contemplating their trials and discomforts they endured as they made the ninety-mile journey from their home to Bethlehem. “It was a fairly grueling trip. In antiquity, the most we find people traveling is 20 miles a day. And this trip was very much uphill and downhill. It was not simple." Joseph and Mary likely would have traveled only 10 miles a day because of Mary's impending delivery. And the trip through the Judean desert would have taken place during the winter, when it's in the thirties during the day [and] rains like heck, it's nasty, miserable. And at night it would be freezing. And the unpaved, hilly trails and harsh weather were not the only hazards Joseph and Mary would have faced on their journey south. One of the most terrifying dangers in ancient Palestine was the heavily forested valley of the Jordan River. Lions and bears lived in the woods, and travelers had to fend off wild boars. Archaeologists have unearthed documents warning travelers of the forest's dangers. And "bandits, pirates of the desert and robbers" were also common hazards along the major trade routes like the one Joseph and Mary would have traveled. Mary and Joseph had to bring their own provisions. "In wine-skins, they carried water, and they carried a lot of bread. … Breakfast would be dried bread, lunch would be oil with bread, and herbs with oil and bread in the evening." James F. Strange, a New Testament and biblical archaeological professor at the University of South Florida in Tampa. And we all know what happened when they arrived in Bethlehem. So for Advent this year as I think of Joseph and Mary I will also think about the challenges experienced in the ninth month of carrying my children to birth and ponder what challenges and discomforts Our Lady may have encountered. I will appreciate more deeply the safety and comfort of my home as I think about the perilous journey of Mary and Joseph sleeping under the stars, never knowing where they would reside when arriving in Bethlehem. I will turn the heat down in my cushy vehicle as I think about Mary riding a donkey side-saddle over hills and valleys cold, exhausted, hungry, yet never complaining. I will imagine the apprehension of St. Joseph as he stepped out in faith knowing he must have wondered about how he would provide for Mary and the upcoming birth of Jesus, as all men worry about caring and providing for their families, and will thank him for his courage in saying yes to the Angel and becoming the foster father to Christ. I will fast each day from some food I enjoy as they fasted on bread and water out of necessity. I will make reparation for my sins and the sins of others through more prayer and more daily masses as this unknown, humble couple made reparation for all of us by giving their entire lives to God the Father, for Jesus the Son, and for all of us. I will remember Joseph and Mary and meditate upon the perils of their travels so you and I might be able to travel the glorious journey to Heaven. I will give thanks and praise to God each and every day for the gift of St. Joseph and Our Blessed Mother Mary, for their fiats, for their wisdom, strength, faith and perseverance. Please pray with me my friends, that all this pondering, contemplating and meditating will bear many fruits for Joseph’s House and for our world and I will pray for Advent and Christmas blessings for you and yours!